At least 21 athletes across five sports are suspected of having blood-doping links to a German doctor at the centre of an ongoing investigation. It comes after Austrian and German police raided an "internationally active doping network" last month. The alleged doping ring is believed to have been run out of Germany, where the unnamed doctor was arrested. The investigation was prompted by claims in a TV documentary made by cross-country skier Johannes Duerr. On Wednesday, Munich's state prosecutor Kai Graeber said the alleged doping of the 21 athletes from three winter and two summer sports took between 2011 and 2019. 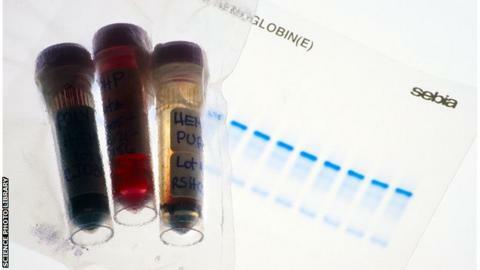 "There are three-figure cases of blood being taken out and then being reintroduced worldwide. In Germany, Austria, Italy, Sweden, Finland, Estonia, Croatia, Slovenia and Hawaii," Graeber said. No details on the names of the athletes or their specific sports were made available. February's raids took place in the Austrian resort of Seefeld, which was hosting the Nordic World Ski Championships.